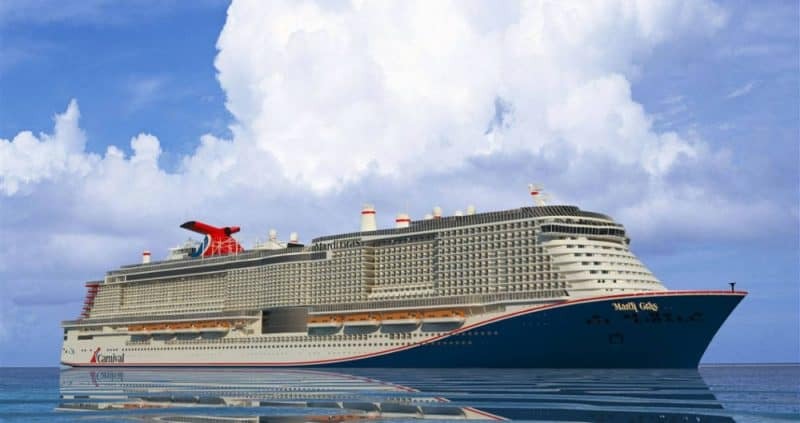 Carnival Cruise Line and Port Canaveral have celebrated the official start of construction on the new Terminal 3 which will open in 2020 for the largest ever Carnival cruise ship. 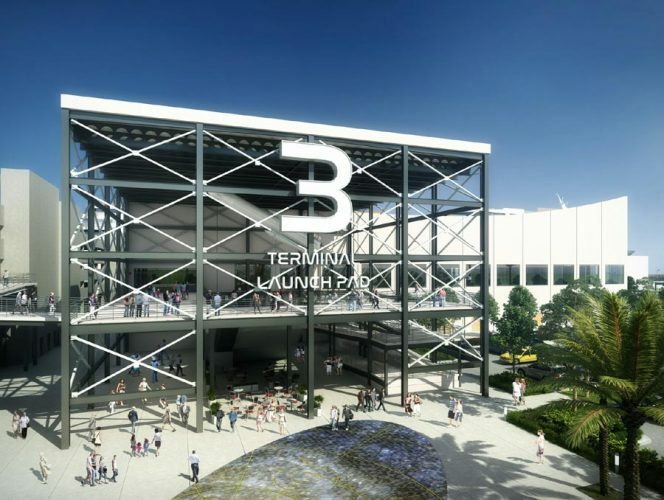 The new Terminal 3 development has broken ground which is a major construction milestone for Port Canaveral and its partnership with Miami-based Carnival Cruise Line. The new complex which will be called the “Launch Pad” is being built to cater for the Mardi Gras cruise ship which is the largest ever built for the cruise line. The vessel will be based from the terminal in 2020. A ceremony was held at the port yesterday along with a pre-launch party attended by key executives including Carnival President Christine Duffy. They were provided shovels to begin the traditional first dig which kicks off official construction. The “Launch Pad” complex is costing $163 million and will futuristic looking inspired by the nearby Kenny Space Center at Cape Canaveral. 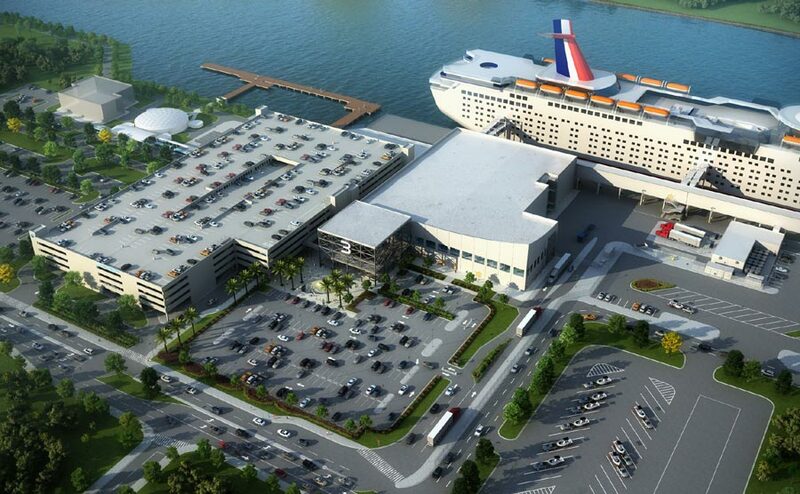 It the largest project ever in the 65-year history of Port Canaveral. The facility will be a total of 187,000 square feet across two levels. There will be a state of the art check-in and security area located on the second floor. High tech baggage processing will be featured and a seating area for 1,700 cruise passengers. Next to the terminal will be a 6ix level 692,000 square feet parking lot which will accommodate 1,800 vehicles. The facility will open in May 2020 in anticipation of Mardi Gras which will begin cruising from the port with a special 8-day cruise on October 16, 2020. The 180,000 gross ton vessel which will be the largest in the fleet is currently under construction at the Myer Turku shipyard in Finland. Follow Cruise hive for all the latest developments on Mardi Gras and any Port Canaveral news.